A list of awesome Simplifier features. 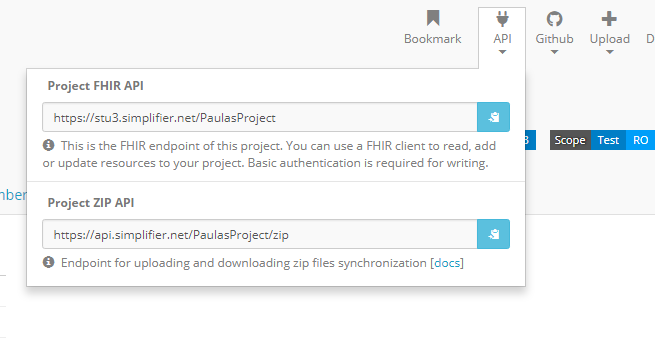 Import FHIR resources, by uploading XML or JSON files, uploading a ZIP, posting them with any FHIR client, or by fetching them from any FHIR server. Forge is the worlds leading FHIR Profile Editor endorsed by the FHIR community and the FHIR standard developers. Download Forge for free. Edit resources online, in XML or JSON. Keep your resources up-to-date with your local disk through the synchronization API. Exact control which external FHIR resources and versions your work is built upon with the package dependencies editor. Build on existing profiles. Simplifier can generate a snapshot from multi layer profiles. The 'diff' viewer allows you to compare the changes of any two versions of a resource. Simplifier is made to help authors of FHIR resources and Implementation Guides focus on what really matters. 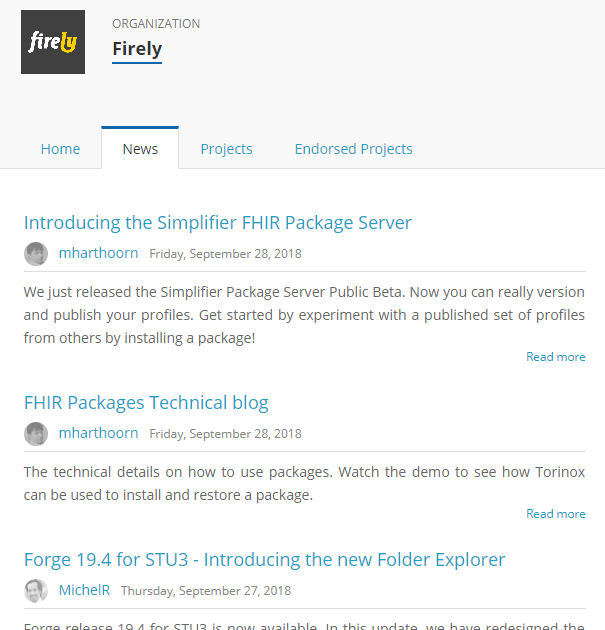 Simplifier is a complete registry for FHIR resources, Implementation Guides, and packages. Easy consumption of packages from other publishers and create packages yourself to distribute your data contracts. Simplifier is a fully compliant FHIR packages server. Through packages we ensure that everything that is published on Simplifier will always be available. That way you can build your workflow and ecosystem on a solid bedrock. And we take away the uncertainty. Private projects help you manage intellectual property and when to publish your resources. Or for if you only want to share within your organization. Publish your FHIR data contracts on Simplifier, the leading FHIR registry, for the world to discover, use, and implement. Simplifiers Rendering engine has a special renderer for each FHIR resource type: Profiles, extensions, Valuesets, and many more. 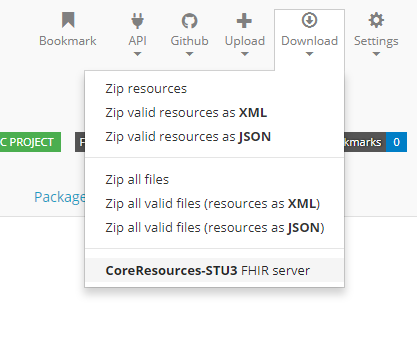 No matter how a resource is uploaded, Simplifier can display an XML and a JSON representation of any FHIR resource on Simplifier. Show profiles from a table perspective. View snapshots (the end result), differential (your edits from the base) and hybrid. All references are displayed as live links to other resources on Simplifier. 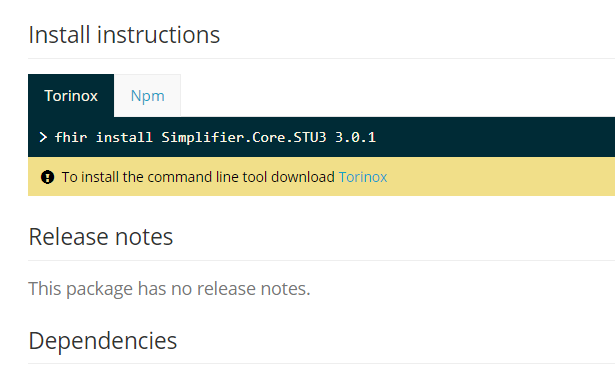 Show all incoming and outgoing references, and dependencies of your resources. Know where your resources live in the FHIR ecosystem, and find out how and where they are used. Make your own websites render FHIR resources through Simplifier embedded rendering in an IFrame. Rendering a FHIR resource well is core to getting all the information you need. You can import your work in many ways. And you can export your resources at any time, in XML or JSON. Project statistics show you the graphs and counters about resources types and workflow progress. Use custom rules to set titles, descriptions and workflow status. Using FhirPath you can harvest any data within a resource. You can design a custom resource publishing workflow to manage your publication process. 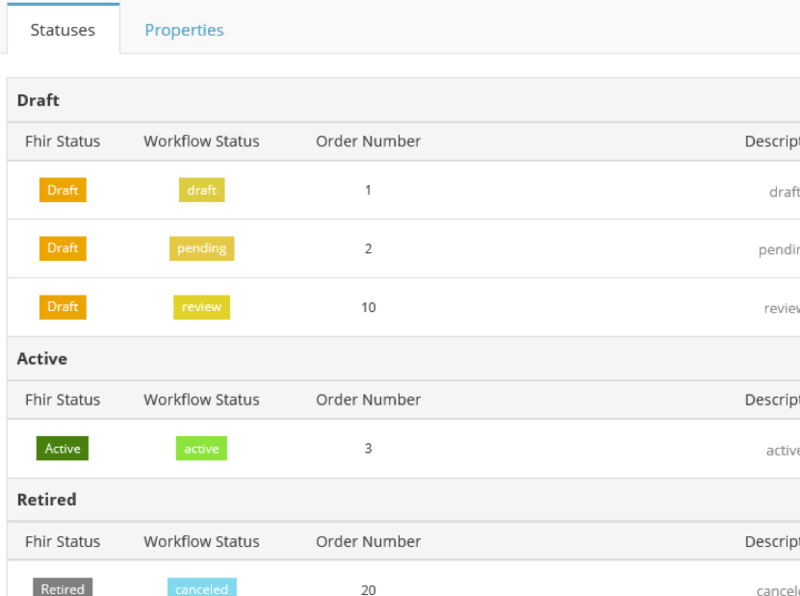 Workflows are aligned with the FHIR resource status field. Projects are the unit of work in Simplifier. They help you publish a FHIR use case. Keep track of all changes ever: user, date, resource, action, and source of import. You can validate every FHIR resource in your project. released soon Validate all your resources in one action. released soon Run a quality check over all content in your project. Validation, naming consistency, canonicals and dependencies. This saves a huge amount of work before publishing a package. Quality assurance is an important aspect in every stage of authoring and publishing. Simplifier does the heavy lifting for you. User friendly and fast. 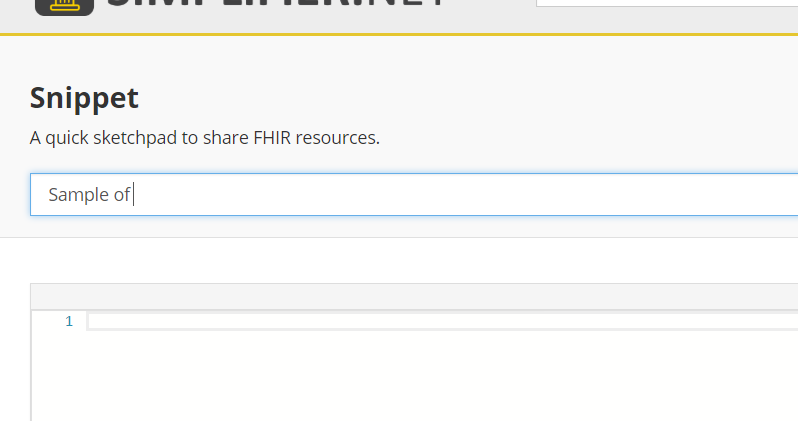 Share any FHIR resource instantly, both as source and rendered. Just copy/paste the source, and share the link. 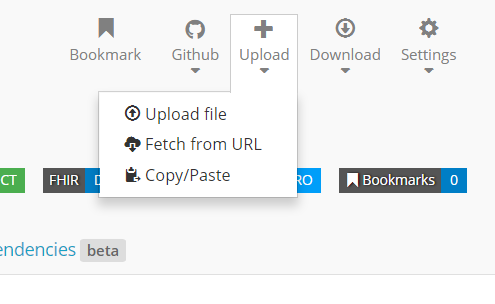 Each resource you upload to Simplifier, gets its own link that will not change. That also makes it easy to share and reference in publications. Each project and resource can be bookmarked. It helps you keep track of what you find important. You can get a daily, weekly or monthly mail that tells you of every change that is made in any of your bookmarks. Subscribe to a project changes and organization news feed with Atom. Sharing online should be easy. Sharing FHIR with Simplifier is easy. A user friendly markdown editor with syntax highlighting. Publish a page with just one click. Mature and easy to use resource rendering. Add any rendering to any part of a page. You have access to every rendering that is used by Simplifier. Intellisense and auto complete helps you easily find render commands and names of resources. You can edit with instant preview. 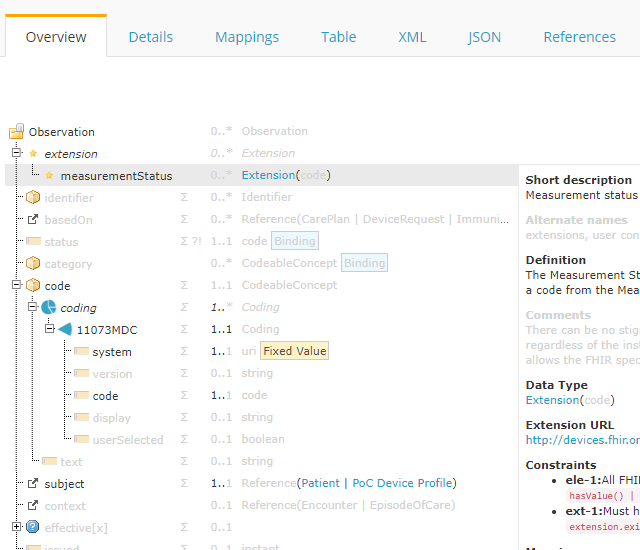 You can even see your whole implementation guide directly. Immediatly see the end result. Host your implementation guides on Simplifier. It makes discovery of your IG easy for the FHIR community. and safes you keeping up a separate website. released soon Milestones are the version control of your IG's. Control when you publish and what you publish. Export the final result of your Implementation Guide as a static HTML website, so you can publish and host it anywhere. You can keep a Guide private until it is finished or keep it private to only share it with whom you choose. Make use of predefined templates, design by FHIR modelers and IG writers. Create your own custom master template (HTML) and choose your own layout (CSS). IG's on Simplifier understand multiple versions of FHIR. You can even mix them in one IG. Easy user friendly editor. Hassle free. No need for technical tools. You type, Simplifier renders. It just works. Each project on Simplifier speaks FHIR. The moment you create your project, it becomes it's own FHIR server. https://fhir.simplifier.net/your-project-key. Simplifier has a synchronization API to keep a project on your machine in sync with your Simplifier project. Connectors help you bridge your FHIR project to other online tools, like ClinFhir, external validators, or FhirPath Testers. You can even create and publish your own connectors to help others discover your FHIR tools. Simplifier is a full FHIR package server. Any tool that speaks FHIR package protocol can find and consume packages from Simplifier. You can work with your team in GitHub, and push all changes to Simplifier. Simplifier connects everything that is FHIR. User management for administrators, writers, readers, and public. Works with an easy to use Invite workflow to invite people on Simplifier and outside. 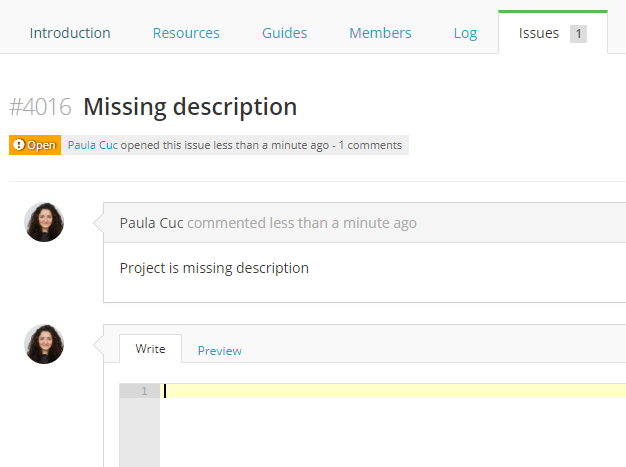 Create and manage Issues (comments) on your project and individual resources. 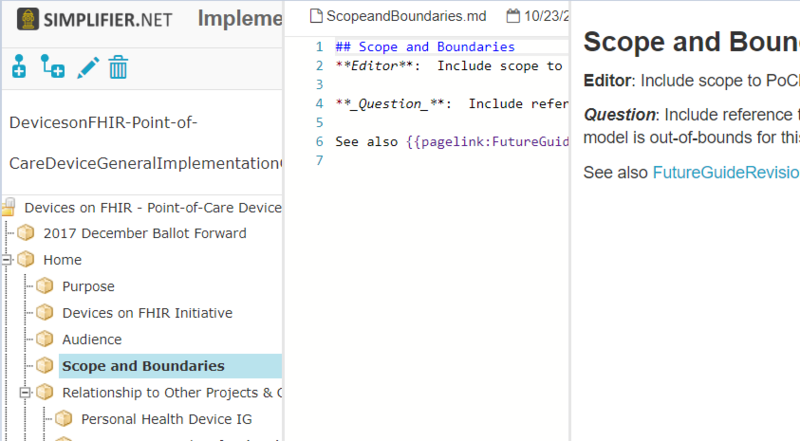 Each issue comment has markdown and FHIR rendering available. If turned on, it allows any outside user to create issues in your project. Very useful for national infrastructure projects. Logging keeps track of all changes and project activity. Simplifier integrates with GitHub, to allow teams with more complex collaboration and branching to publish their team output. Simplifier has all the tools you need to make your team work together. A place to share your organization's FHIR projects and activities with other Simplifier users and the world at large. Write your own FHIR news or blog to let your consumers know about changes in your projects and local, regional or national standards. Create lists of endorsed projects. So that consumers are aware which FHIR resources are part of your organizations ecosystem. Easy and fast user management, that allow quicker project user management as well. Like quickly adding your organization members to projects. Organizations that do FHIR are visible on Simplifier. Transform your project to a fully functional FHIR server with a single click. It deploys a docker image on a machine of your choice. The server validates all incoming resources against your profiles. Ideal for testing. Or quick deployment scenarios. Testing with out of the box profiled FHIR servers can vastly reduce implementation time.